In 1991, Phillip Johnson published Darwin on Trial. In 1996, Michael Behe published Darwin’s Black Box. In 1998, William Dembski published The Design Inference. While numerous other books on the subject have been published, these three books are considered landmark works in the discussion over intelligent design. Now there is a fourth. 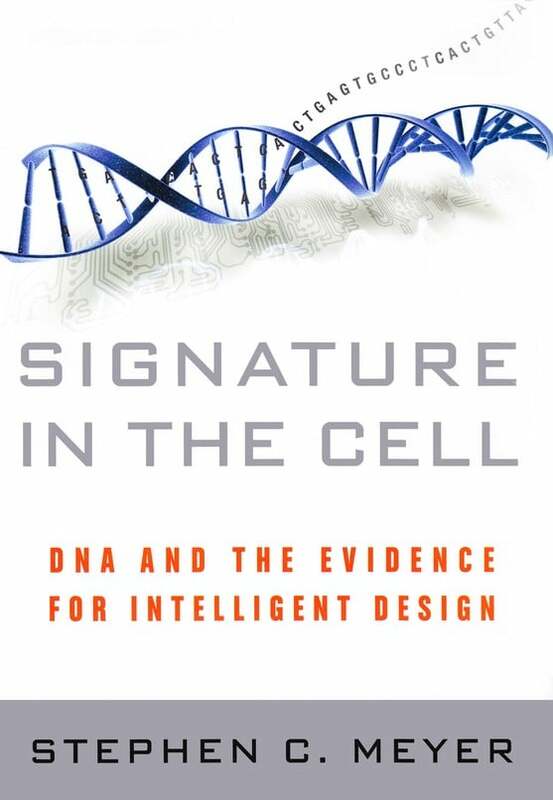 Stephen C. Meyer’s new book, Signature in the Cell , may be the most persuasive case for intelligent design yet published. The timing could not be better, since 2009 is the 200th anniversary of Darwin’s birth and the 150th anniversary of the publication of On the Origin of Species. 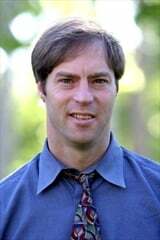 Stephen Meyer received his Ph.D. from Cambridge in the philosophy of science. He directs the Center for Science and Culture at the Discovery Institute in Seattle. He has authored or co-authored numerous books and articles, but I will venture to guess that Signature in the Cell will be the one for which he is remembered. Meyer’s book differs from the others mentioned above in that he makes the case for intelligent design on the basis of the information (the digital code) stored in DNA. Meyer makes his case by means of a running personal narrative, describing his own discovery and examination of what he calls “the DNA enigma.”The first two chapters provide some context for the discussion to follow. Here Meyer provides some insights into the scientific and philosophical issues that are at stake. In chapters 3-5, Meyer looks in detail at what it is any scientific theory about the origin of life must explain. Here he describes the DNA enigma in detail. Chapters 6-7 look at what scientists in the past have theorized about the origin of life. In chapters 8-14, Meyer examines the various theories that have been and are being offered to explain the origin of life. Chapters 15-16 then present Meyer’s positive case for intelligent design. The final chapters (17-20) defend intelligent design against the most common objections. Signature in the Cell is absolutely fascinating. For over twenty years, I have been reading books on the relationship between science and faith, creation, evolution, intelligent design, the interpretation of Genesis 1, and Meyer’s book is without question one of the top 5. Those who are committed to an atheistic and materialist philosophy will be all over this book, but I am slightly optimistic that it may actually change the nature of the debate among scientists who are interested in going where the evidence leads. In fact, one of the most helpful sections of this book deals with the very definition of “science,” an issue that has hindered helpful discussions and debates. Although I enthusiastically recommend Meyer’s book to any who are interested in the scientific study of the origin of life, I do want to raise one important point. Advocates of intelligent design are directing most of their efforts toward addressing scientific questions and objections. They are not addressing the questions theologians might have about the implications of their work. If they were, it would probably bring more criticism down upon their heads. Be that as it may, Christian theologians do need to ask questions about the implications of their works. We must also consider the role of the laws of nature….If a biological structure can be explained in terms of those natural laws, then we cannot conclude that it was designed. I find this idea expressed either implicitly or explicitly in many books and articles by intelligent design advocates, but it is not acceptable to Christians. Why? Because God designed things that can be explained in terms of natural laws as well as those that cannot. In fact, God designed the natural laws themselves! God not only designed irreducibly complex biological systems; He designed simple biological systems. He designed everything. It is the failure to deal with this issue adequately that has led many to see in the work of some intelligent design proponents a “God of the gaps” argument. Another related issue that some proponents of intelligent design do not take into account is the relationship between primary and secondary causes. Just because science can explain the secondary causes behind some natural phenomenon does not rule out the existence of the primary cause, namely God. A good example of this is seen in the development of a child from the joining of a sperm cell and an egg cell. We know from Scripture that God created each of us in the womb (e.g. Ps. 139:13), but scientists can also trace the development of a child from the point of fertilization through birth. We do not have to choose between the primary and the secondary cause. Both exist, and both are in operation. From a Christian perspective, if Meyer’s formulation of the intelligent design argument is true, then what he is observing is an instance in which the primary cause (God), operating apart from any secondary cause (natural laws, etc. ), left visible evidence in the material world - specifically in the genetic code found in DNA. Now what if scientists do someday discover a natural explanation? Does this rule out the existence of God? To read some intelligent design proponents, you would be hard pressed to avoid that conclusion. It doesn’t, however, as long as we understand that God is also working through the secondary causes that scientists study every day. All of this being said, Meyer’s book is a must-read. It will certainly encourage proponents of intelligent design. We can only hope that it will also encourage intelligent discussion. For more information, visit the Signature in the Cell website.